Welcome back to another entry in our Create-A-Greeting-Card Scholarship Contest Look Back Series. 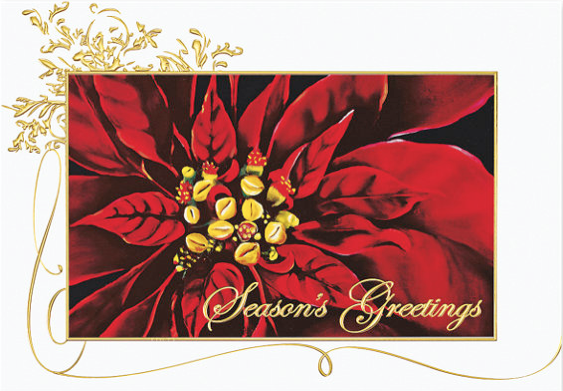 As we continue our look into the 2008 contest we wanted to use today’s post to showcase two beautiful finalists entries which were turned into a set of amazing Christmas cards in our line. As has been the case in most years of the scholarship contest, we found a couple of entries which while they weren’t selected as the winner, we felt were just too beautiful to pass up. 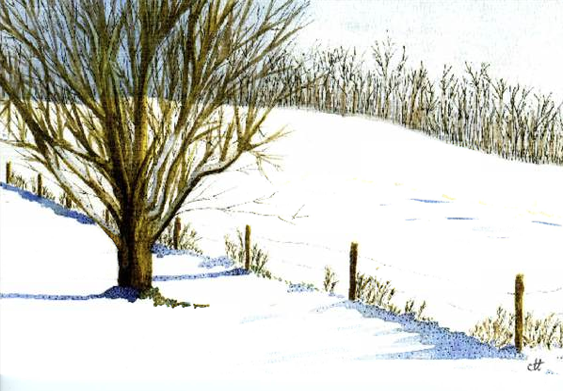 The first entry is from Corinne Thompson, who submitted a beautiful painting of a quiet and serene view of a snow-covered hill glistening with freshly fallen snow on a cold winter’s day. The scene was just too beautiful to not be added to our line. When we converted the entry into a card, there was not much that needed to be done. Some of the designs details were enhanced with some embossing to give them a three dimensional feel and really make them pop! 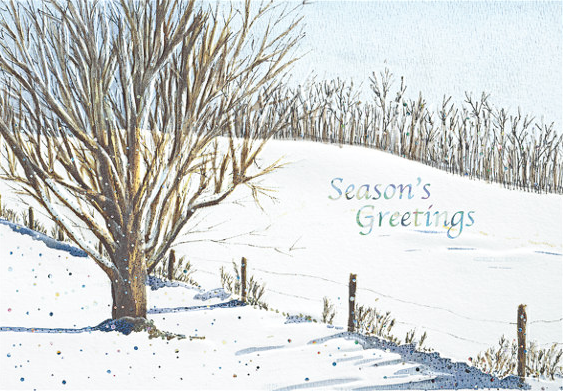 We also added some multi colored reflective glitter to give the sensation of falling snow before adding it to our line as the Glistening Snowscape Holiday Card. It truly is a testament to the skill and creativity of the entrants when you see just how great the designs are and how just a few enhancements to the submissions can turn them into stunning cards. We hope you enjoyed this look into the 2008 finalists and look forward to next week when we continue our look behind the scenes of the 2008 Scholarship contest. This is amazing on so many levels. These budding artists get to showcase their work, beautiful greeting cards are created and we get to see the transformation from inception to completion right before our eyes. Great work! Both cards have really great composition and I love what the art department did to both –the final result made already great designs even more stunning! I am totally blown away by the creativity of these young people. I think it’s great that your company is giving them a chance to have their artwork published! OMG! 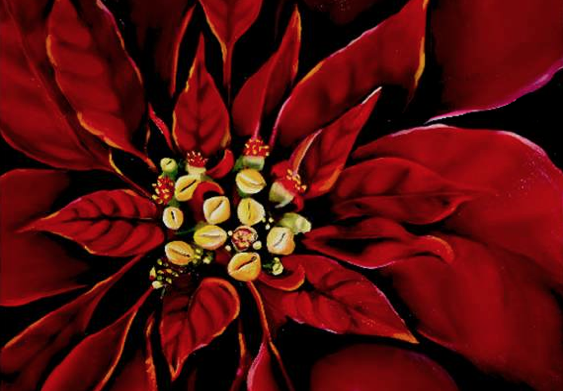 I thought that poinsettia was a photograph! The artwork looks like it was done by a professional artist. I’m amazed that these are students and not pros creating these designs.